This charming charleston flapper fancy dress costume will allow you to achieve the iconic 1920s flapper look with ease. 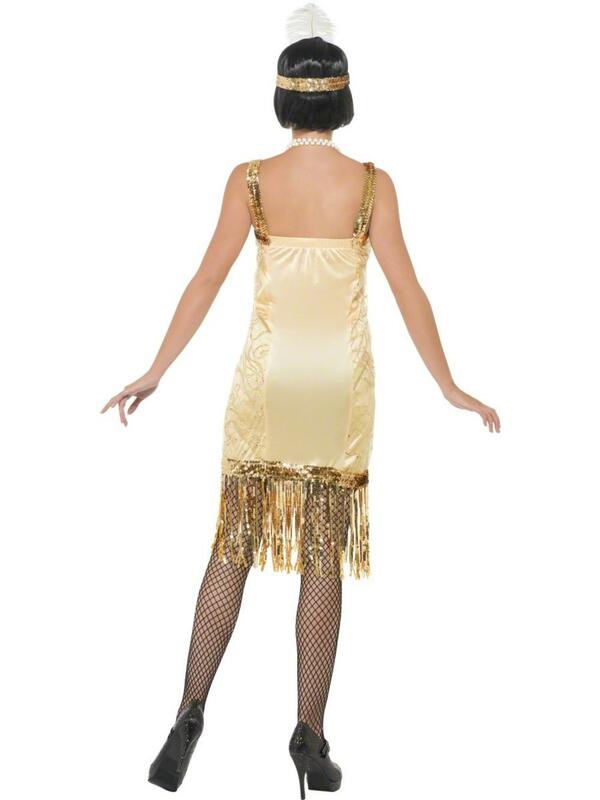 The costume comprises of an absolutely stunning gold coloured dress, with gold straps and fabulous gold tassles that reach just past the knees. 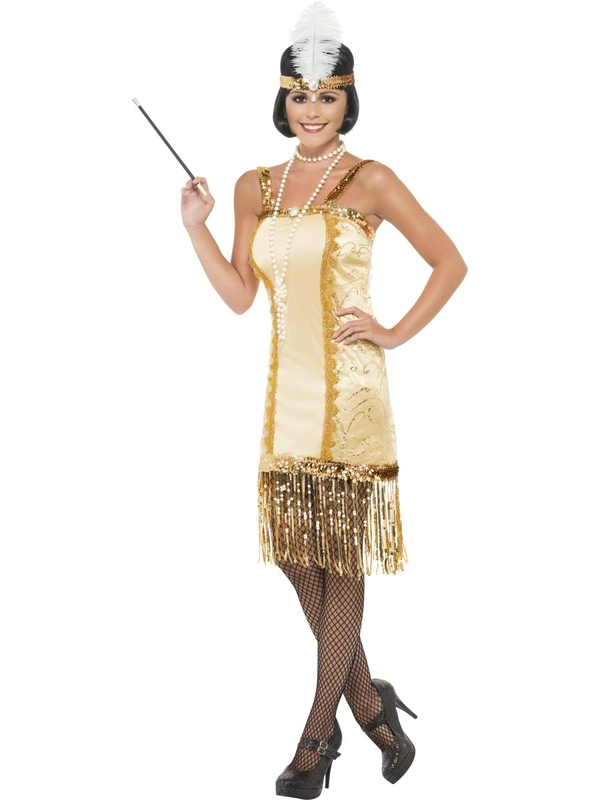 Finishing off the attire with some class is the traditional white feather style headpiece. 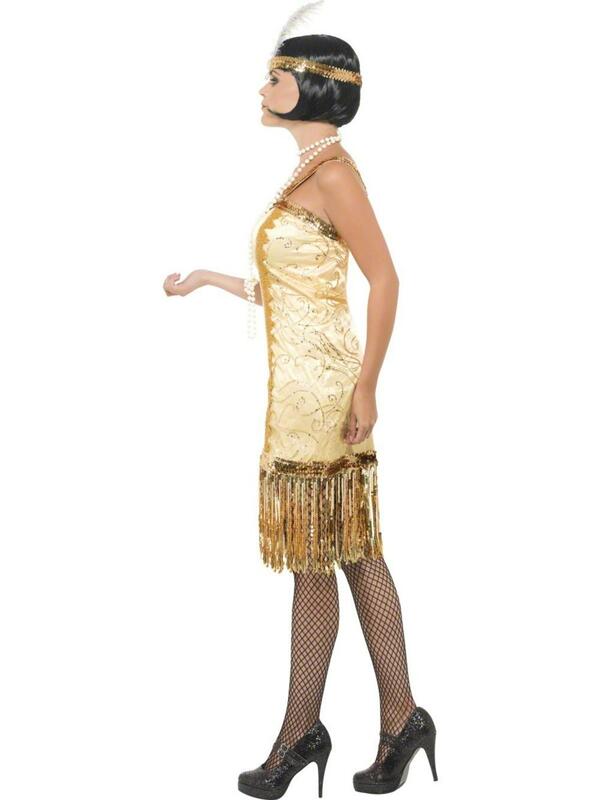 You'll be dancing the Charleston in style when you wear this fabulous flapper fancy costume, which is perfect for any fancy dress party, especially one with a historical or 1920s theme.